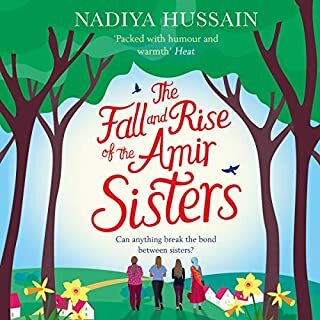 The four Amir Sisters - Fatima, Farah, Bubblee and Mae - are as close as sisters can be, but sometimes even those bonds can be pushed to their limits.... Becoming a mother has always been Farah's dream, so when older sister Fatima struggles with a tough pregnancy whilst Farah has trouble conceiving, she can't help but be jealous - until a plan to break a huge cultural taboo in her family and use a surrogate gives her renewed hope. But nothing is ever that easy in this warm, witty look at a modern British family. Fatima, Farah, Bubblee and Mae, the four sisters of the Amir family, are sometimes tired of being the only Muslim young women in a rural British village, not helped by their eccentric neighbours, including the hippie nudists next door. Oldest sister Fatima - or, as her family have always nicknamed her, Fatti (which, she worryingly suspects, has just as much to do with her inability to lose weight and guilty-pleasure love of Primula squeezy cheese as it does her birth name) - is having a particularly hard time finding her place in the world, especially when a family tragedy strikes and Fatima discovers that she was adopted. Her aunt in Bangladesh is her real mother, leaving Fatima questioning everything she thought she knew about her family. As each sister struggles with life, love and faith, as Farah learns to cope when her husband has an accident, Bubblee learns to stop judging other people's lives and Mae faces burgeoning YouTube stardom, Fatima learns what it really means to be a big sister and to bring her family back together by organising a big village bake sale to help fund rebuilding the family business. quirky family; but like most, strong female characters; narrators really brought the family to life; did not want it to end! What I loved about this, was it was read by a number of people, making the story come alive. For me each part of the story was an unexpected twist. Everytime I though I knew what was going to happen, something different happened. The book also gave me a bit of an education on how other cultures handle internal family matters. However, at the same time I realized that I actually knew a person who went through the same family situation. Sometimes the more we think we are different the more we actually have similarities. Mae. Even though she was probably the most annoying at the start of the book, and even though she kept doing those same things that were just as annoying later on, seeing things from her point of view really changed the context over time. She held the family together behind the scenes, breaking rules, keeping in touch with people who were excommunicated and otherwise pulling strings to make things happen, and she sincerely didn't expect anything back. I also thought her character was especially vividly written, she reminds me of a few people I know. The author was really good at turning around your perception of a character naturally, without making it seem forced or making anyone automatically the hero, their roles all shifted and just kind of fell into place. Everything! This was a great performance, the characters came to life. 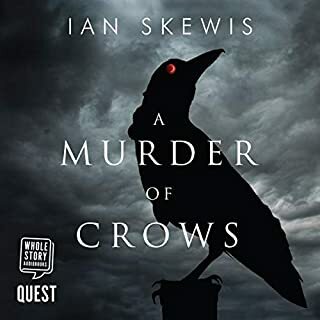 The different narrators seemed natural with the different perspectives, they even smoothed over the chapter transitions that I normally find kind of jarring in books that have a lot of switching back and forth. I always knew which character was talking right away, and they all had a lot of personality. Maybe not exactly a moment, but a situation, when Farah and Bubblee eventually reconciled with each other over sorting bills and tidying the house. There wasn't ever really a grand scene to resolve everything with "I'm so sorry I was wrong all along" or anything like that, they were still upset and annoyed with each other. But they just kept coming back time and again, and working together while they bickered over things, and gradually got close enough to talk to each other again. Even though it was imperfect and messy, it eventually worked itself out with time and effort, and it felt very real. I wish there were more movies set up like this, then we might have less ridiculous expectations of our relationships. I hope the author keeps writing, I really want to read more of her books! I couldn't get enough of this book! Listen to it now! You won't regret it. Very well written, from different perspectives and you feel for every single one of them. The struggles of Fatima, trying to find her place. Bubbling Mae the much younger sister with a big mouth, but a heart of gold. The twins Farrah and Bubblee who are so alike yet so different. They all try to find their way, first not understanding where the other person is coming from. I really do not want to give away anything, but I can say I didn't regret buying this book! I loved how all the girls had their own voices. This made the story come alive and you feel like they're telling you what has happened. For a debut I highly salute the writer! Thank you for this great story! Would you listen to The Secret Lives of the Amir Sisters again? Why? I tend not to listen or read books again, not because I don't like them, more because I like to read/listen to lots of books. More personal. With the different narrators for each character, its easier to identify with each. A lovely listen. Could easily have spent the entire day listening to it, if home and work life allowed. A great story and great education. Regardless of race or religion, family issues will always be a thing. 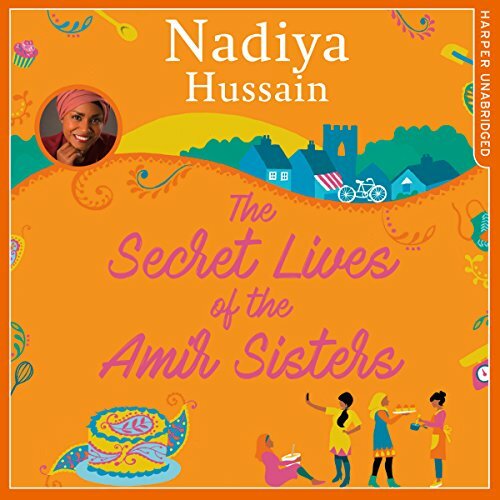 Nadia has been not only become a first class BBOF winner, but has wrote this book about the ordinary lives of the Amir sisters, warts and all, emotions run high in this book, recommend it for anyone who likes a nice relaxing book!! 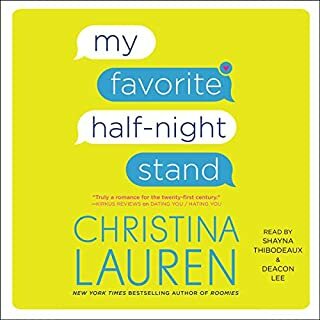 Although very predictable throughout, this story was a warm and enjoyable glimpse into the lives of a family who immediately felt familiar despite their differences. Having watched a television programme where the author - Bake Off's Nadiya Hussain - travelled to India alone and for the first time since childhood, I recognised many of her own experiences reflected in one facet of the story. 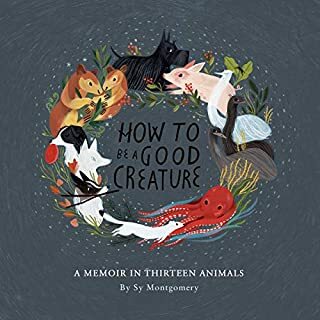 The author's personality is woven into the book, and despite not being the most adept work of literature it was consistently engaging, and I would happily have listened to several more chapters. 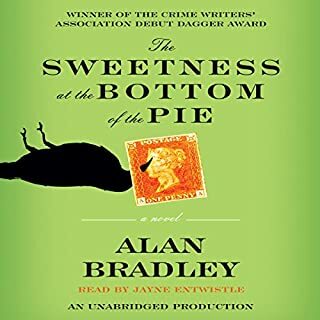 Each of the four narrators did well to bring their character to life, and it made it much more listenable than it would have been with a single narrator. Overall, I think I would listen to more featuring the Amir Sisters, and might try future novels by the author, though I'd probably wait for them to be included in offers. 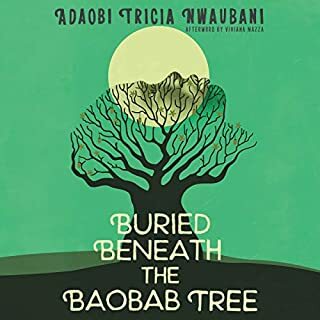 Overall it does not have the best plot but it is very easy and pleasant listening.